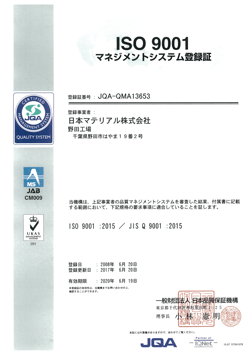 Product Plant | NIHON MATERIAL Co.,Ltd. 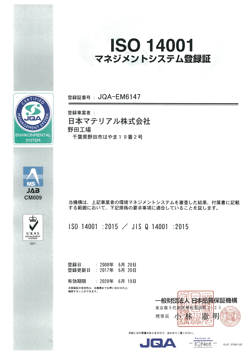 Nihon Material has been involved in the refining and processing of precious metals since 1992. Since then, Nihon Material has developed into a precious metals manufacturer who produce various kinds of products. Noda plant is our business backbone to operate comprehensive process. Adopting one-stop service, we can meet our customer's needs. All of the precious metals which we purchase in country wide, are melted, refined, assayed, and fabricated at our plant. We have a comprehensive organization that allows us to meet our customer's needs as a manufacturer of precious metal products. Up-to-date Analysis technology backs up our high quality products. Our composite Analysis technology backs up our products. When we accept the precious metal materials, our analysis is start from homogenization and sampling. Once into the recovery process, we test the purity of metals using multiple ICP devices every single step up to fabrication. Advanced treatment facilities facilitate less emission. Our priority is environment first so we adopt the latest emission treatment facilities. 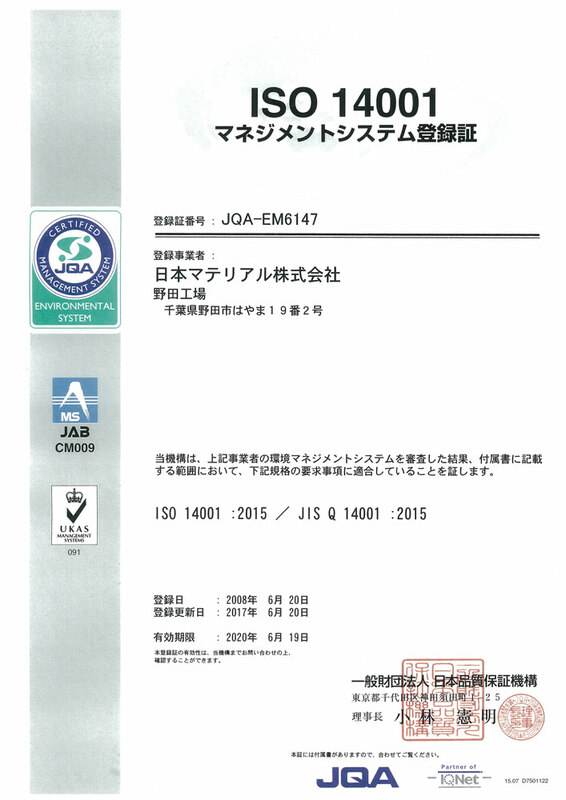 For this reason that we have obtained ISO 14001 certification and continue to strive for lower the emissions. We have put a special emphasis on waste water treatment and have adopted advanced equipment that utilizes bacteria. Waste water is filtered three times before it goes into the processing unit where it is purified in order to pass the waste water regulation. Precious metals are melted, refined, fabricated and assayed within a very stringent quality control system.